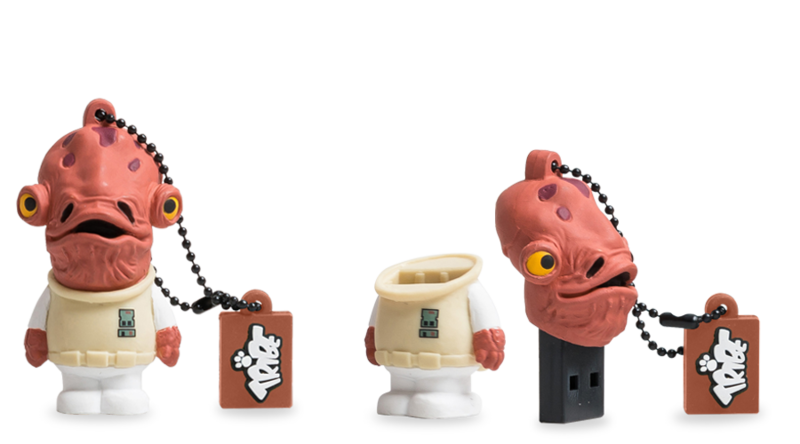 Military commander of the Rebel Alliance, Admiral Ackbar is a key fighter in the war against the Dark Side of the Force. He is certainly the most famous member of the Mon Calamari species, humanoid squid-like creatures with domed heads and webbed hands, known for being particularly advanced and civilized. Admiral Ackbar is the brilliant mind behind the winning attack strategy at the Battle of Endor.